Tired of driving into a dusty, dirty and rough driveway when you get home everyday? Consider revamping it with our concrete driveway solutions! Concrete driveways are very much better compared to driveways made of other materials. One good thing about concrete driveways is that it is very appealing to the eyes. Visual appeal will not only delight your guests and clients but also your whole family as well! 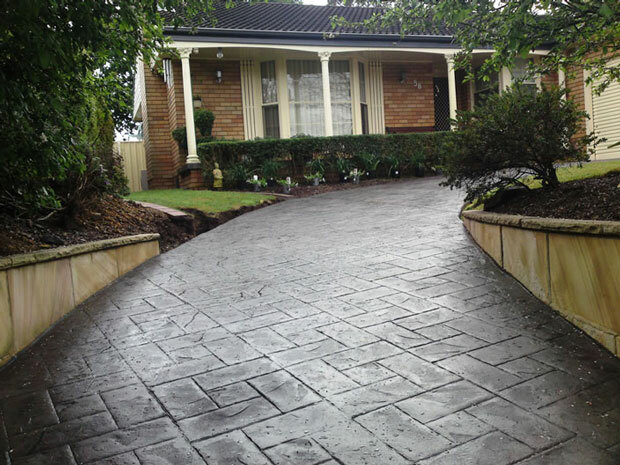 Concrete driveways tend to be very neat and clean – improving the whole ambience of your home. Concrete driveways are also one of the most varied in terms of design. You can dye concrete driveways to colors that match or compliment your home. You can make your very own design or pattern and have your contractor do the job for you. Concrete is a very malleable material and allows for different designs, patterns, shades, hues and colors. All of these can add great value to your home. Another good thing about having concrete driveways is that it is very much low maintenance. All it really needs is a good sweeping every now and then. Unlike other driveways wherein regular weeding and evening out – say for example in a gravel driveway, concrete driveways need none of that! There is no need to worry come snow time since you won’t have to spend countless number of hours trying to sort out gravel from snow and vice versa. The most you can do with concrete driveways in terms of maintenance is to use special products to remove tire marks and other stains that may occur. Concrete driveways are also one of the safest options there is. Contractors often see to it that concrete driveways are designed in a way that helps promote grip and helps prevent skidding. This can be very advantageous most especially if you have beginner drivers in the family. Concrete driveways also reflect light – illuminating your house and your driveway more for safety purposes. Finally, concrete driveways are known for their superbly long life span. It’ll take a good number of years before a crack and forever for a pothole! This is because concrete is a very durable material that will stand harsh weather conditions and climate changes remarkably well. 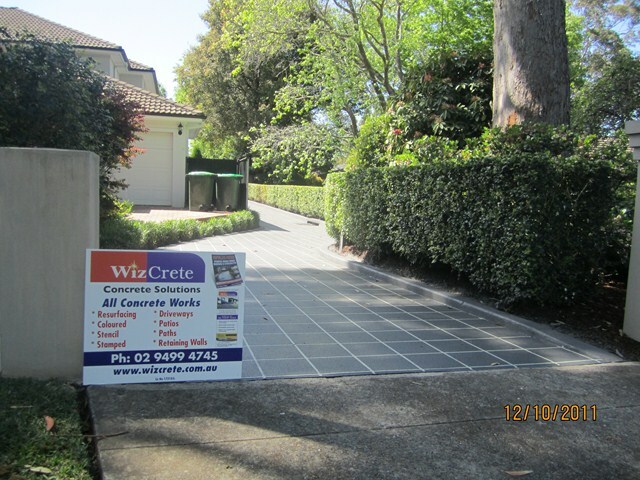 If you are in Australia and considering installing concrete driveways, Wizcrete is the best option for you! With numerous creative concrete experts to help design and install your concrete driveways, this award winning company is surely worth it! Planning a driveway overhaul but short on cash? Don’t worry because we, at Wizcrete, know how frustrating that can be. Price or a lack of budget shouldn’t limit you from desiring a more aesthetically attractive and functional driveway. You don’t need to go so far as complete renovation. It does not only cost a lot but renovation takes a longer time to be completed. Don’t put off the daunting task anymore. Transform your dull and boring driveway into an impressive entryway to your abode at a price you are willing to pay. Wizcrete is offering you a better solution. A solution that is attractive, cost-effective and long lasting. Instead of a costly renovation, we offer highly affordable concrete driveway resurfacing options for any household. The process will replace and renew old and dull surfaces and turn it into your desired look. A typical driveway resurfacing involves repair of broken concretes as well as preparation of the old driveway surface. It is achieved through a number of tested and proven methods such as stenciling, stamping and etching. Costs will vary from project to project. Estimating the cost without a solid basis and knowledge will leave you confused. Thus, Wizcrete is offering you a chance to get a quote for free. That is, without any strings attached. This is the best approach to take if you want to get a fair price based on your specific requirements and design in mind. 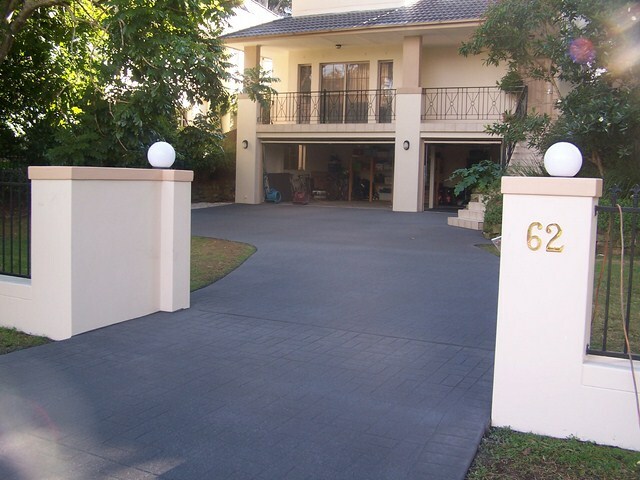 The price ranges will normally depend on variable factors such as current condition of the driveway, type of concrete finish desired, size of the project and materials to be used. Knowing the possible total cost will give you a benchmark. You know how much you need and you can set your expectations in accordance to the price you will pay. As soon as you have decided, you can collaborate with Wizcrete to draft the contract to your best advantage. We promise that you will get what you pay for. Wizcrete’s business ethics has always been centered on that premise. 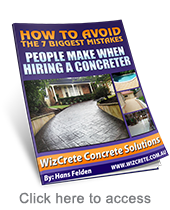 With Wizcrete’s years of experience and a long history of satisfied customers in Australia, you can fully entrust this job to us without worries. Every project is backed by professionalism, excellent workmanship and a triple guarantee. Your driveway resurfacing will be completed based on the time duration agreed upon on the contract. In case Wizcrete cannot deliver, we will personally shoulder another concrete resurfacing project of your choice. You can also bank on the company’s 5 year works warranty. If you are into driveway decorations and are always working to make your driveway look elegant and impressive then you must have heard something about Stamped Concrete. Stamped Concrete is a simple slab concrete for your driveways, patios and walkways; the only difference is that the textures and patterns are impressed on the slab concrete when it is completely dry thus making it a “Stamped” concrete. The Wizcrete’s Stamped Concrete will suit any form of surface whether its brick, cobblestone, wood, paver or even sea shells. Now you must be wondering why the fancy driveway and what’s wrong with cobblestone or brick surfaces. Well they do look good but they are vulnerable towards frost-heave and some other changes in the core surface. This can be good sometimes if you are trying to cover up an uneven surface but if you have a leveled and nice, flat undersurface then it’s better if you have the concrete laid the same way. Another problem that you might face is that the weed underneath the surface can crack through if the surface is made with ordinary bricks, cobbles, pavers etc. However, if you go for Wizcrete’s Stamped Concrete then you will be saved from this trouble as Wizcrete’s Stamped Concrete is very solid and won’t allow the weed to crack through. You might have heard that appearance can be deceptive so the “cracks” that you see on Stamped Concrete are already embossed there and are just mere impressions that partially go under the concrete surface. If you want a solid and long lasting surface then Wizcrete’s Stamped Concrete is what you need. Wizcrete’s Stamped Concrete will not only protect your driveway from weed resurfacing but also make it look neat and elegant without any signs of blemishes for many years to come. If you are thinking of laying out the Stamped concrete surface on your own then let me tell you that it’s not such a good idea. Putting up stamped concrete is like an art and requires expertise and experience. So save yourself up with the frustration of doing it on your own and instead call up a good concrete contractor who has a special team with the right tools and right experience for laying out stamped concrete. We assure you that you won’t be disappointed after opting for Wizcrete’s Stamped Concrete as your walkways, driveways and patios deserves the best. At Wizcrete, we are experts. This is what we do. We will work with you in transforming your driveway into that Wow! with the variety of colors and styles that fits with the character of your home. You will have many choices in selecting the best match for you. We have a multitude of unique patterns, including stamping which will give the impression that the drive way is made of something else besides the traditional concrete, whether it be tile, wood, brick or flagstone. Our award-winning products and services are well-recognized in Australia, most especially by our satisfied clients. 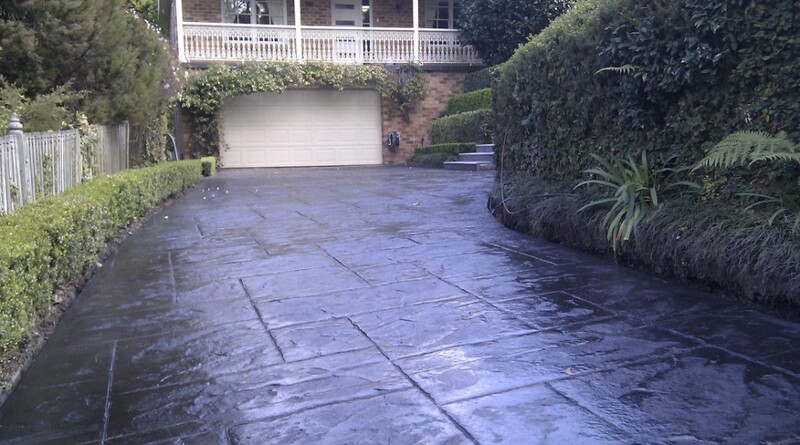 We are professionals that will create your driveway to be entirely flawless and polished. We have absolute confidence in our services and products that you will have Wizcrete’s Unequalled Triple Guarantee. Your driveway will be completed to the way you want in the time agreed upon or we will resurface until you get the driveway you asked for. If you are unhappy with the outcome, we will pay another contractor of your choice to complete the work. You will also have the 5 Years Works Warranty where within this time frame we will repair any wear and tear at our expense. Satisfaction is the outcome we expect from all our clients. The beauty of your home relies heavily on the embellishments that are added on, however simple or elaborate these may be. It might be a splash of color on a mantelpiece against a white backdrop or a silent decorative stone statue partially hidden in your landscape. These are the things that allow your home to leave a lasting impression. Why wait for the Wow? Give us a call at (02) 9499-4745 for a quote and talk to us about what you are looking for. Also visit our website www.wizcrete.com.au for testimonials and ideas. If you are looking for a beautiful and timeless look in your driveway without having to break your piggy bank, Wizcrete provides you with a great alternative to using expensive materials for your driveway like stones, bricks or even seashells! With stamped concrete you can have any sort of pattern you can think of and we will duplicate the original look and feel of the material by stamping the concrete. Simple, you get a timeless pattern of your choice for your driveway, patios or walkways that duplicates the original materials in a way that makes it near impossible to tell that the materials used are stamped and not the original. We can duplicate almost any material, like wood, bricks, seashells, cobblestones and more! On top of that, as the materials are stamped you don’t have to pay full price for the materials. So you get the look and feel of having the real thing, while you pay for only a fraction of the price of having actual stones or wood. The quality of the materials we use even imitates the texture of the materials, giving you an authentic look and feel. Special pigment is added to the stamped concrete as a way to even make the colour look much more authentic. The professionals at Wizcrete also go the extra mile providing you with professional work, a professional team of experts and the best quality materials available in the market, to provide you only with the best possible service and durable driveway, walkway or patio that you could possibly dream of. To contact our representatives at Wizcrete to enquire about our stamped concrete patterns available, give us a call on 02 9499 4745 or send us an email to sales@wizcrete.com.au. Our friendly team members will offer you quality advice over the phone and will be as helpful as possible as you try to choose the right method for your concrete needs. Oh, and one last thing – For all of our valued customers, we offer FREE QUOTES so you can check out our prices that can’t be beaten. We are the best of the best at Wizcrete, so contact us today to get your FREE QUOTE, advise from our team of experts and so you can see the wide variety of patterns we have available to fulfil all of your concrete needs. See you soon! designs on concrete driveways that give your home a touch of elegance and class. throughout the entire driveway that will match with the colour palette of your home. give your driveway a fresh and fancy look. and most importantly, don’t forget to ask for your free quote! can visit us or contact us by phone. Give us a call on (02) 9499 4745 for a free quote!